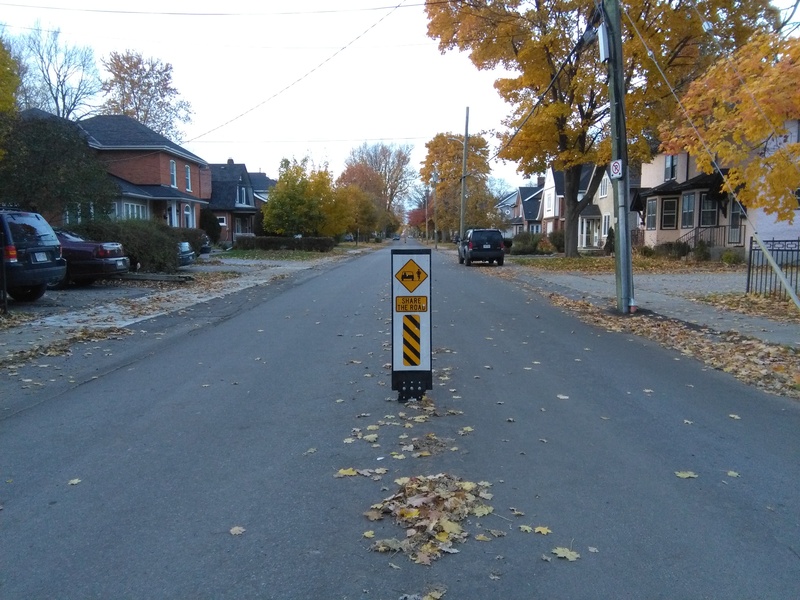 These signs that say “Share the Road (with bicycles)” recently went up in the middle of some of the streets in my neighbourhood. 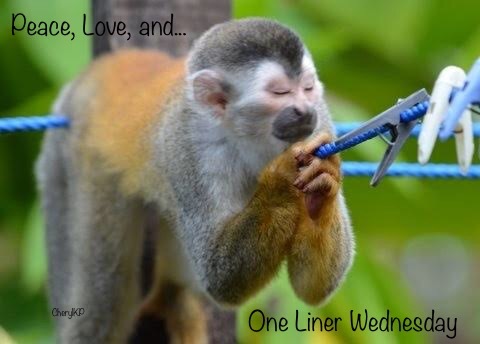 Categories: Blogging, Blogs, Funny, Life, One-Liner Wednesday, Opinion, Prompt | Tags: #1linerWeds, biking, Humor, humour, inspiration, nonsensical signs, writing prompt | Permalink. You’re lucky we have to share the foot paths and pavements (you call them sidewalks) with bicycles!! 😦 Be careful out there, Willow! These remind me of the signs I once saw on a school trip to the British Museum. They were tiny and planted right in the middle of the large grassy area outside the museum where we ate our lunch. Because they were so small it as impossible to read them from the bench we were sitting on, so I walked over to see what they said. Ha! Here in Buffalo, the geniuses decided to paint bicycle pictures in the middle of the right driving lane on Main Street. Most bicyclists realize that they still need to stay over along the parking lane, especially during rush hour. But there’s one young lady who consistently decides that the right driving lane is, in fact, the bicycle lane (after all the picture says so, right? ), so she determinedly peddles down the middle of the lane during morning rush hour, forcing everyone to either stay behind her at 3 mph or try to merge into the already full left driving lane. I doubt that the helmet she wears is really going to protect her forever. Pingback: One-Liner Wednesday: Hopeful | Anything is Possible! We had some put up in the middle of the street. All that work and they had to take them down due to many complaints. More signs seldom solve problems. They’re going to have to take them down for the snowplows anyway. Maybe if enough people complain they won’t put them back up again. And you’re right – I doubt they solve anything. Any driver who doesn’t share the road with a bike shouldn’t be driving. We don’t have those signs where I live yet, but we do we do have drivers who crowd out the bikers. Not so many bikers now that the snow has arrived though! Oooh, that’s a point! I hope they’re removable for the snowplows. Or, I should say, they will be removable. 😉 Haha! Right? And some of them are right beside a telephone pole, which makes it really impossible to move over.